We aim to make the process of ordering flowers as easy as possible. However, we understand that our customers often have questions about our service or need to find out information regarding a specific need that they have. Below is a list of answers to the questions we are most frequently asked. If you are unable to find an answer to your question please feel free to give us a call and we will help you out over the phone or drop us an email on our contact page. All products as depicted on this website (as may be varied from time to time) are available almost everywhere in the UK, Channel Islands, Republic of Ireland and Isle of Man - or as otherwise directed. Some flower and plant products may be harmful or poisonous, if you require further information before submitting an order please contact us. All products are subject to availability. In the event of any supply difficulties, we reserve the right to substitute with a product of equivalent value and quality without notice (although we will always try to contact you to discuss substitutions). 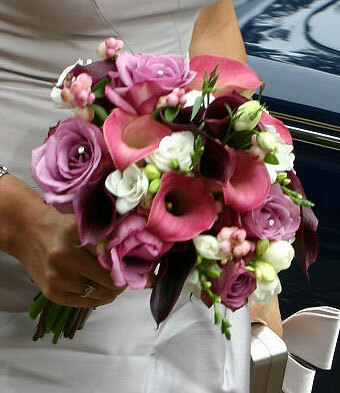 We guarantee the freshness of your flowers for 7 days from the date of delivery. The exception to this is flowers in our summer and spring ranges which are guaranteed for a miniumum period of 5 days. If your recipient isn't delighted with their flowers, please let us know. We'll do all we can to put the situation right. Standard procedure is to replace and uplift the original item. If for some reason we need to refund your order please make sure the item delivered is made available for collection by our florist. Our ability to process a refund may be affected if we are unable to uplift your order. Under the Licensing Act of 1964 (UK) and 1976 (Scotland) it is an offence for any person under 18 years to buy, or attempt to buy, alcoholic liquor. It is an offence under Sections 32 and 33 of the Intoxicating Liquor Act 1988 (Ireland) for any person under 18 to buy, or attempt to buy, intoxicating liquor. It is an offence under Licensing (Northern Ireland) Order 1990 for any person under 18 to buy, or attempt to buy, intoxicating liquor. Alcoholic gifts are distributed to selected areas in association with a licensed third party, for further information regarding our suppliers contact our Customer Contact Centre. Prices include VAT for deliveries within the UK, Republic of Ireland and Channel Islands. Prices exclude delivery which is £4.99 (next day) or £5.99 (same day) but please note, that at certain times of the year these prices can vary ie Mothering Sunday delivery. You will be required to provide us with your complete personal details, including accurate postcode, together with those of the intended recipient and all necessary payment details. 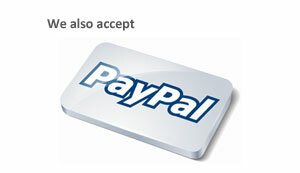 We accept payment by most credit and/or debit cards. By entering the secure element at the end of the order process, you are consenting to be bound by our terms and conditions. Submitting your order is subject to our acceptance of this offer. We will send an email confirmation via the email address you provide. We will not consider ourselves bound by a contract with you until we have checked all the order details. We cannot accept orders from customers under the age of eighteen (18). All deliveries are made during our working day. Our goal is to complete deliveries by 5.30pm, however there may be instances where delivery times may overrun (bad traffic, poor addressing etc). If your order has a need to be delivered by a certain time, ie someone leaving work at a particular time, then please use the 'driver info' box to tell us during the order process. The above information does not affect funeral orders. Please note that on Thursday, 6 November 2014 the University Hospital of Morecambe Bay NHS Foundation Trust has implemented a no fresh flower policy in its hospitals. 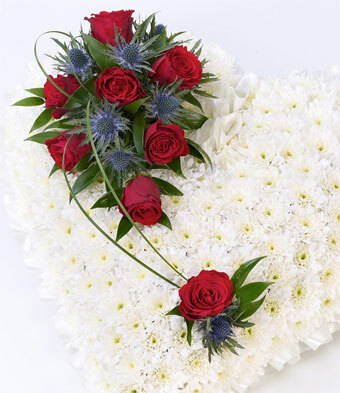 If we receive an order for fresh flowers for delivery to a hospital we will contact you to discuss your options. Every effort will be made to deliver on your chosen date and will inform you if there are any issues with the date given. With the exeption of funeral orders we are unable to guarantee delivery times, however we will always try to accomodate any requests. Apart from Mother’s Day and other specially selected events, delivery is not available on Sundays or public holidays, orders will be delivered on the next working day. To avoid problems or delays with delivery, please ensure that you have included the full address details, including accurate postcode (where applicable) of the intended recipient and telephone number, together with your daytime contact telephone number or e-mail address so that we can notify you in the event that any delivery problems are encountered. In very occasional circumstances delivery on the requested terms will not be possible (due to bad weather etc). In the case of delivery to certain locations, where a third party is involved, such as offices, hospitals, Funeral Directors, airports, hotels, ships and other business locations, the signature of any person authorised to accept delivery on behalf of the organisation shall be accepted as proof of delivery to your chosen recipient. Please be advised that some products are unsuitable for delivery to Funeral Directors, Hospitals, airports or ships. It is possible to select a preferred delivery time within the order process for items ordered from the 'Sympathy' & 'Funeral' product ranges. This option should be used only for orders requesting delivery to funerals or funeral directors. The cut-off time for same day deliveries is 3pm (although this may vary at peak trading times). Customer Services are available from 9am until 5pm Monday to Friday, 9am until 2pm on Saturday. Whilst we agree to use all reasonable endeavours to ensure that the this site is fully operational and error-free we cannot guarantee this and, therefore, accept no responsibility for any defects and/or interruption of the site. We accept liability for death or personal injury arising from our negligence. Our liability in contract, tort (including negligence and breach of statutory duty) or otherwise arising by reason of or in connection with your order with us shall be limited to a multiple of  times the price you have paid for the products.